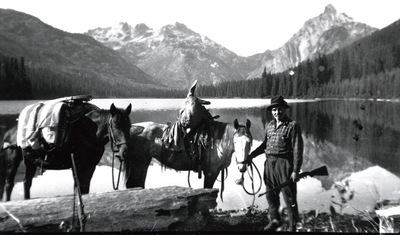 Frank Abbott, trapper and hunter, with pack horses at the South side of Waptus in upper Kittitas County, Washington. "Abbott, Frank" (1960). Frederick Krueger Photographs. 928. Kittitas County (Wash.) -- History -- Pictorial works.